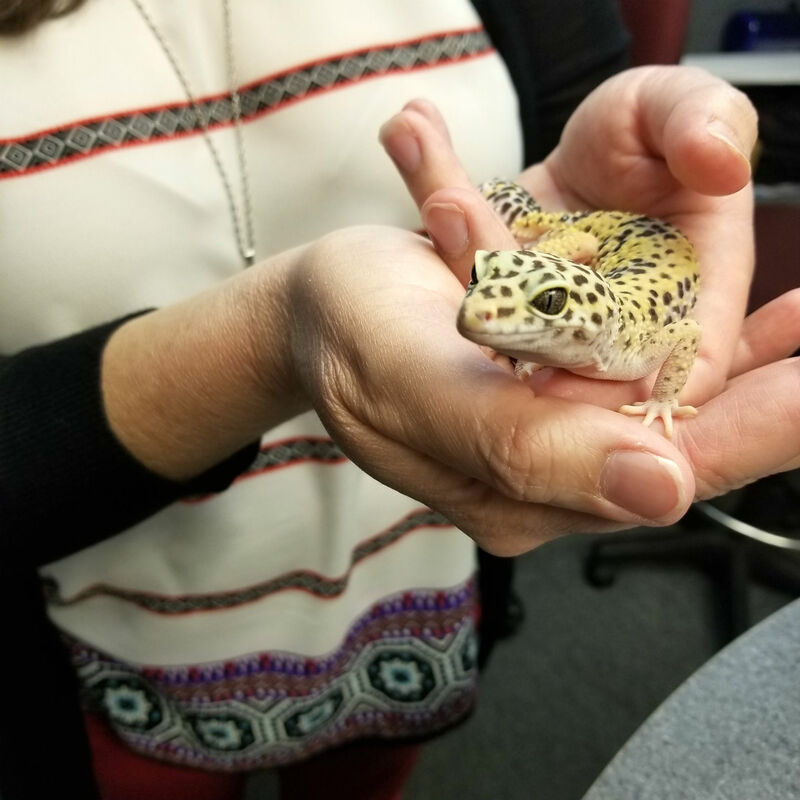 Gretchen Pressley from the Humane Society of the Pikes Peak Region talks about bringing a senior pet into your home, keeping your pets safe this fall, PAWTOBERFEST, and a lot more. Robin Adar from the El Paso County Office of Emergency Management talks about National Emergency Preparedness Month, and tips to help you be prepared. Justin Hermes examines and dispels rumors about real estate inventory in the Pikes Peak region. Justin also talks about the Parade of Homes. 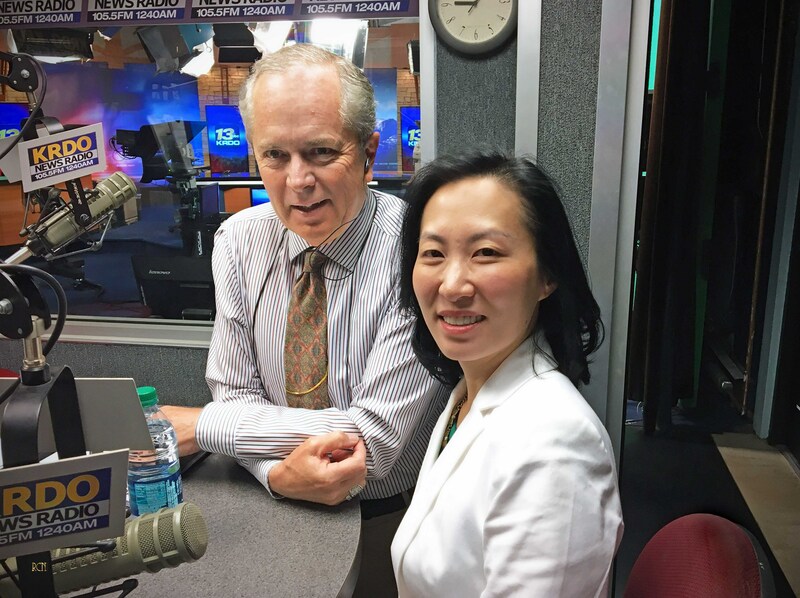 Dr. Linda Stutervant and Dr. Julie Marmon from ER Specialists Urgency Center talk about diabetes, how it’s getting worse, and what you can do. Lt. Howard Black with the Colorado Springs Police Department talks about a deadly overnight shooting near Memorial Park, and the investigation into a driver that drove through that crime scene, hitting a police cruiser and side-swiping a KRDO news crew. Jenny Koch with the Cheyenne Mountain Zoo talks about the loss of Penny, the big storm, looking forward to the future including the birth of the zoo’s 201st giraffe calf, and much more. This week Julianne Harris continues with "God Is Love". She explains that God will not forsake you! Julianne will show you in the Bible how God is always going to be there for you. In this edition of 7 Mountains Business Radio with Karen Conrad, your business is tied to your relationship with Jesus. Have faith. Owner, Kelley Barcus, and Community Specialist, Rich Blanco, from Saddletree Homes talks about the new home market in our area, do they expect another downturn, their advice on buying a home, and more. Michelle Peulen and Dave Watt from C-DOT talk about the status of the Ruxton Ave. repair project, rock mitigation and other projects along Hwy 24, and the deadly year on Colorado Roads. Detention Bureau Chief Clif Northam talks about the over-crowding of the county’s jail, possible solutions, and more. The Truck Guys, Larry Ledom and Greg Budwine, talk about one of the most ignored things on your car or truck…suspension. Also, big fund raiser coming up and a lot more. 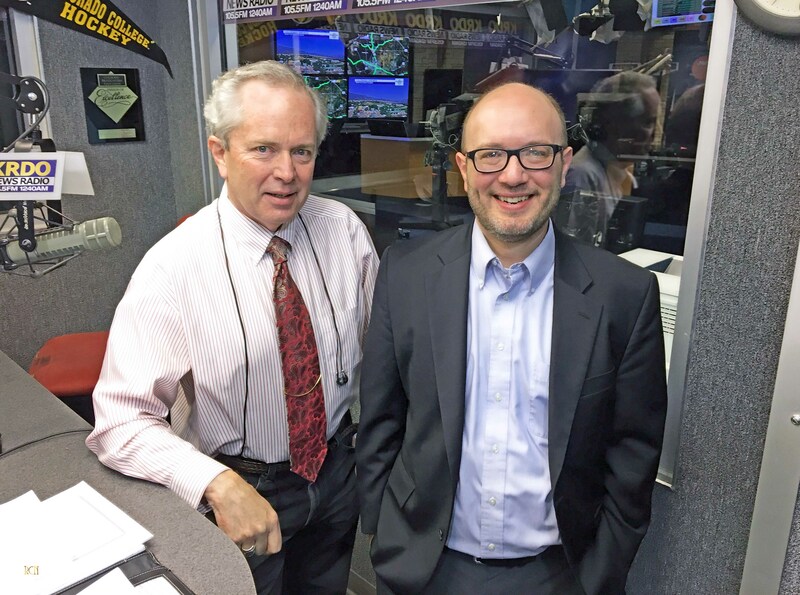 This week Justin has a very special guest, the Mayor of Manitou Springs Ken Jaray. They will discuss the future growth of Manitou Springs and all the attributes that make Manitou Springs so popular. Colorado Springs Fire Chief Ted Collas talks about collective bargaining, flash flood and other safety tips, bringing on more firefighters and new equipment, the upcoming Fallen Firefighters Memorial weekend, and a lot more. 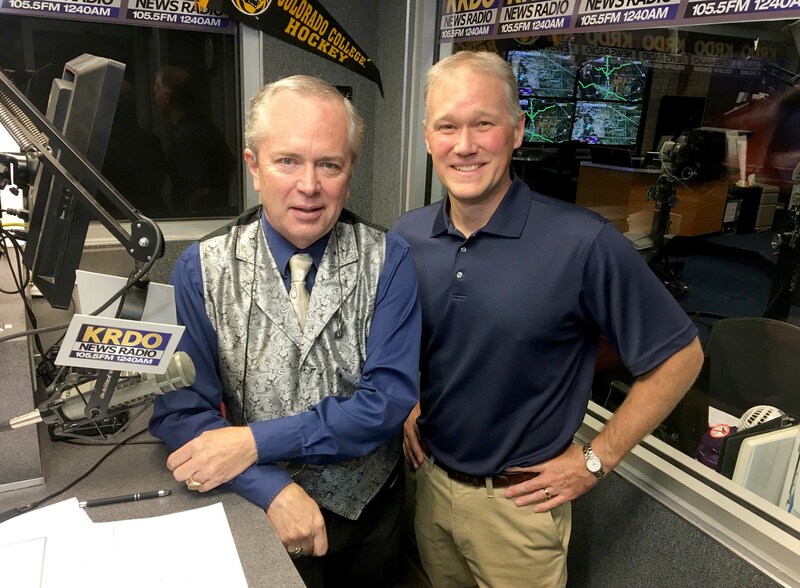 Greg Coopman talks with Chuck Shaw with Capital Wealth Strategies. Julianne continues showing her listeners why she says God is love! This week Julianne looks at Cain and Able. Karen explains it this way: a good plan makes your vision a great reality. Your vision guides your plan, your plan leads to your success. Author, pop culture expert and former curator at the Rock and Roll Hall of Fame, Howard Kramer, remembers the “Queen of Soul”, Aretha Franklin, whose unmistakable, booming voice helped define a music genre and provided an inspirational soundtrack for Civil Rights-era struggles. Lindsay Pechek and Allison Bradac with Newborn Hope talk about the organization, their support of families with premature babies, upcoming events and a lot more. Mayor John Suthers talks about the new down stadium and arena, possible November ballot issues to fix Colorado roads and more. Mayor John Suthers talks about collective bargaining, increasing beds at homeless shelter and more. Justin shows you the good the bad and the money in commercial real estate. Can you be a land lord and let someone else pay for your retirement? Catherine Hammond, from Hammond Law Group, talks about DIY estate planning. The real scoop on what can happen when you use DIY forms and what they miss in estate planning. Colorado Springs Police Chief Pete Carey talks about how Officer Cem Duzel is doing and how you can support him and his family. The large number of traffic fatalities in our community. And, Colorado Springs Police are recruiting new officers…details on how you can get more information and apply.